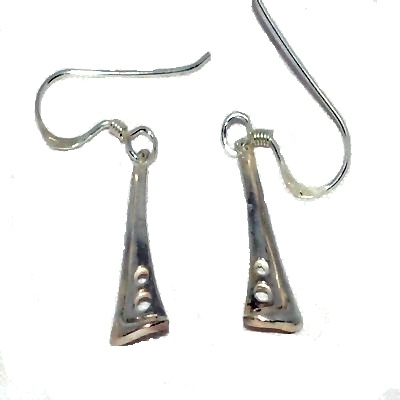 New Pair of 925 Sterling Silver Art Deco Trumpet Drop Dangle Earrings. All measurents are approximate. All sterling is stamped 925 to assure Silver Content.